For years I never thought I would ever own this game. 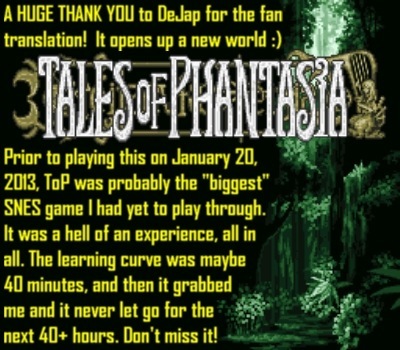 This was due to some folks back in 2008 talking about how they got a Tales of Phantasia reproduction cartridge that ran them HUNDREDS of dollars. As much as I wanted to play it, I wasn’t going to spend a couple hundred. 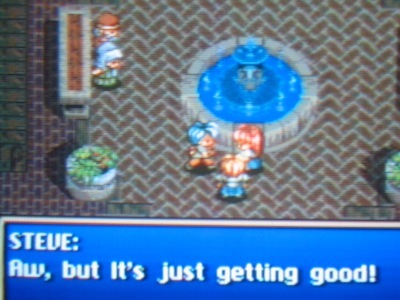 Then a beautiful thing happened: prices began dropping around 2010, making the SNES repro scene much more accessible. With sellers offering copies for $65 or so, I suddenly found myself in the race. 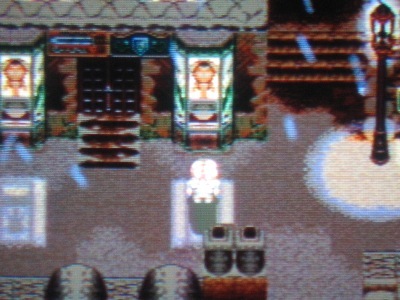 When I began buying translated repro copies of Japanese SNES games, I initially focused on titles such as Clock Tower and Terranigma. Finally, five years ago in December of 2012, I bit the bullet at long last. 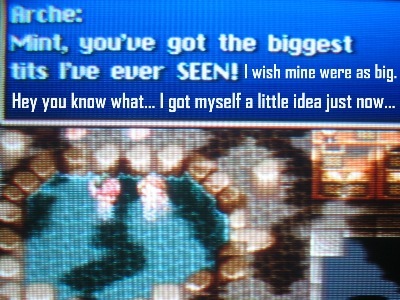 The following is a stroll down memory lane of my experience with Tales of Phantasia. Personally, I don’t believe in going back in time to right a wrong. Sure I would like to travel back for 24 hours to maybe relive or revisit a memorable day from earlier in my life, but to go back to purposefully change events? Nah, I’m from the school of thought that everything in life happens for a reason, and it all helps to make up who you are today. Both the good AND the bad. It opens with this spoken in Japanese. Haunting! 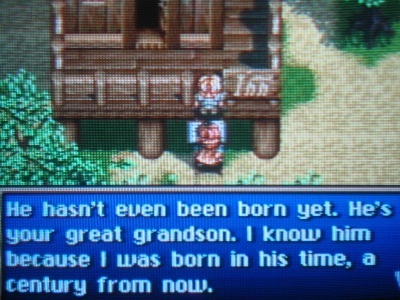 Dhaos is reawakened years later. 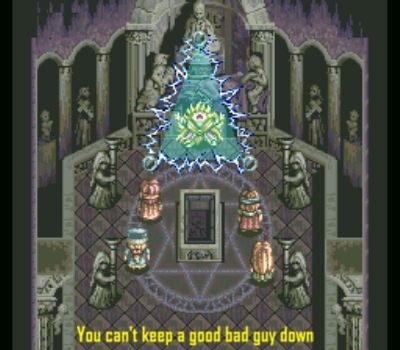 And he’s after the pendant that your dad gave to you. Thanks a lot, pops! 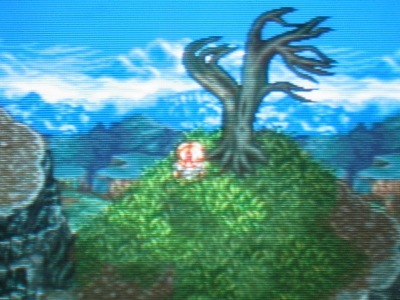 Our hero looks like a giant on the overworld map. 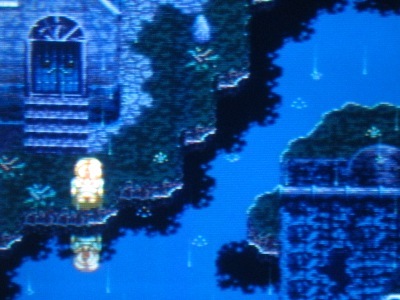 Your character moves around briskly, perhaps more than any other SNES RPG I’ve played. Be prepared for thousands of random battles, though. 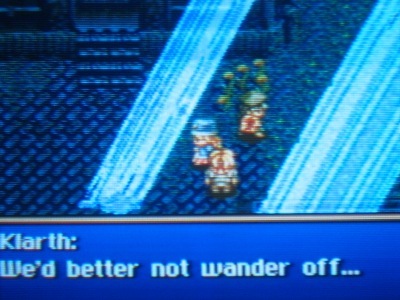 You give chase after spotting a spooked boar. Gotta love the sweat drop! 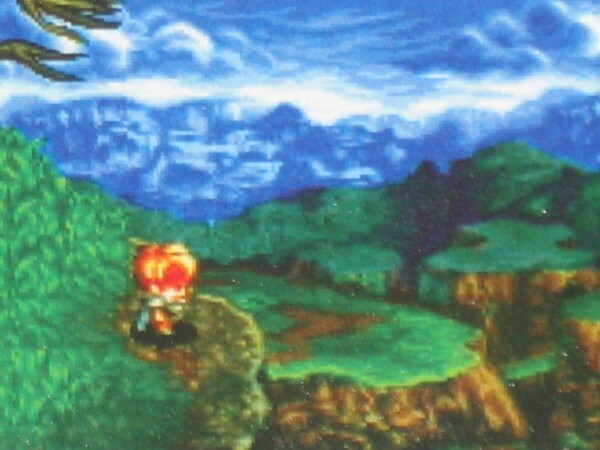 Our hero has a habit of running away after launching an attack unless you strike without first getting a running start. It can be annoying at first but you’ll get used to it before long. In addition to your normal strikes and stabs, there are also special skills to learn and use in battle. 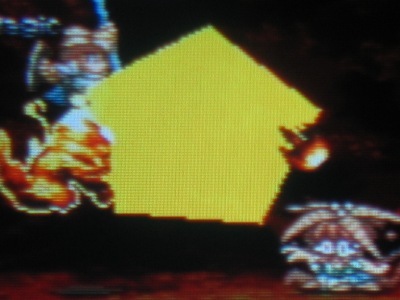 These moves can be assigned as your shoulder buttons and are executed with the single push of a button. Sweet! 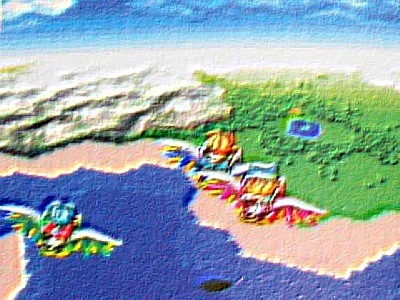 Navigate the skies to avoid those nasty random battles down below. The view is especially nice from here. 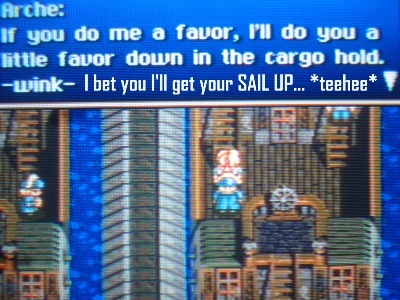 The SNES flexes its graphical muscles. 48 MEGS, BABY! What spells might you discover along the way? 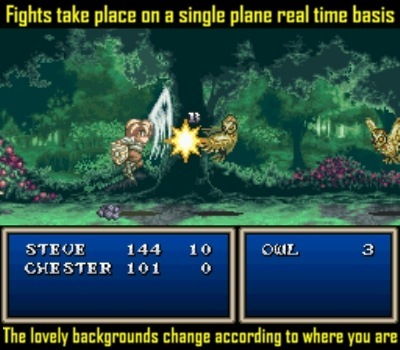 You’ll find different spells to use in battle throughout the game. These spells are critical to your success as they deal out a ton of damage. Different enemies have different weaknesses. Each spell produces a voice sample. It becomes readily apparent where a decent chunk of the 48 megs went — 16 in fact. The Ifrit are supernatural creatures in Islamic and Arabic folklore. 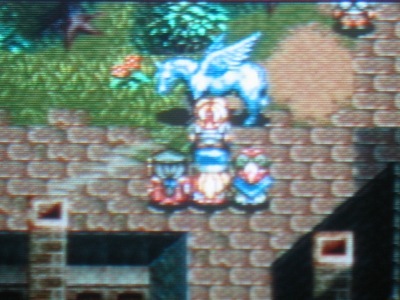 The game starts out with a pleasant stroll through your hometown of Totus. 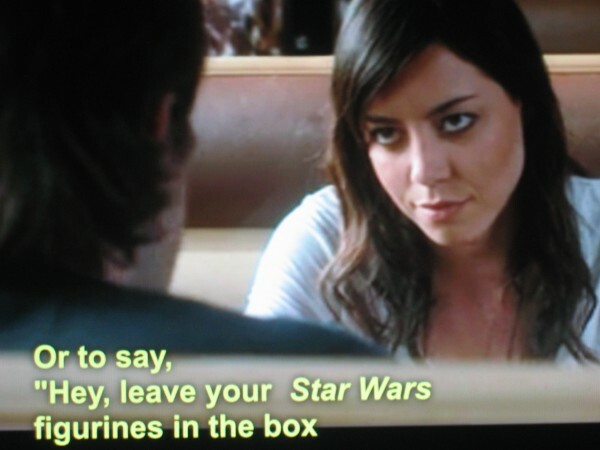 Your father runs a rigorous training center. Be careful not to get caught in the way of their training or else you’ll get whacked in the head! 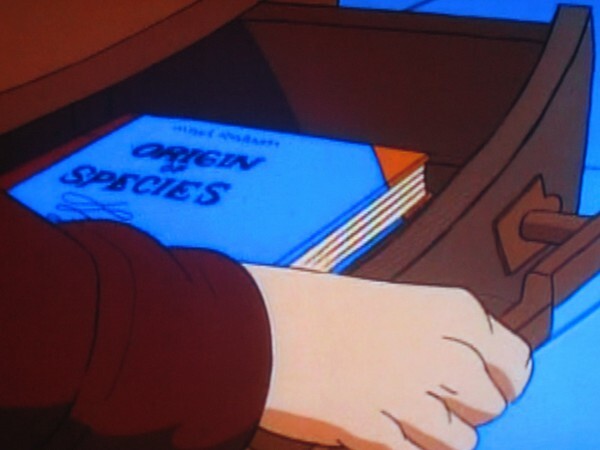 It’s a fun sight gag. 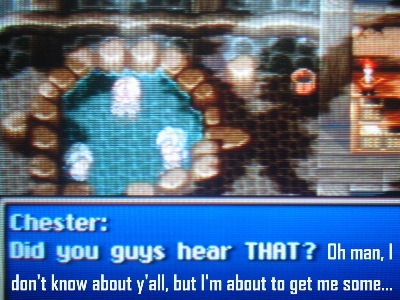 Speak with the locals. It’s all cheery and nice but you know it won’t stay that way for long. It never does! I love the handful of symbols that this game uses. So much is communicated with just one simple tiny picture. Lots of cute and amusing moments are sprinkled throughout thanks to this style of expression. The next he’s shrouded in the mist — NICE! 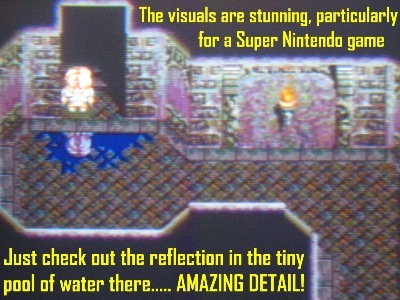 OK maybe the dungeons aren’t the best place to show off the game’s ace visuals, but still, look at those bloody reflections! The water even ripples as you walk across. This was a classic moment. Mint urges our hero to encourage the heartbroken girl. 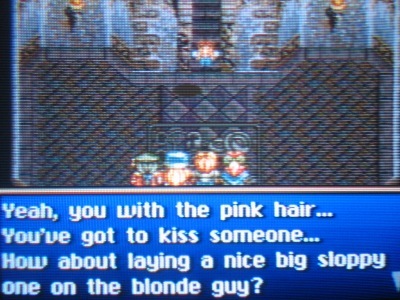 He does so but with some, ahem, questionable “tact.” Mint then comes screaming to the rescue. 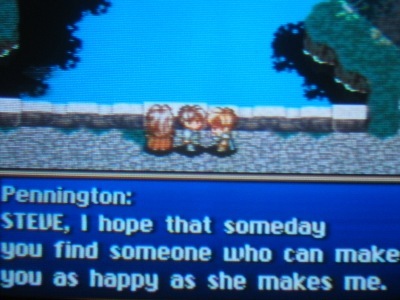 Tales of Phantasia has some Christian themes. Early on there is a church scene with some Scripture and edifying words. 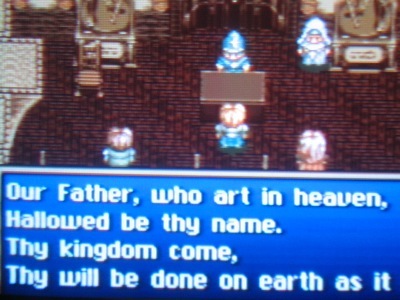 It’s the only SNES game I know with the Lord’s Prayer in it. 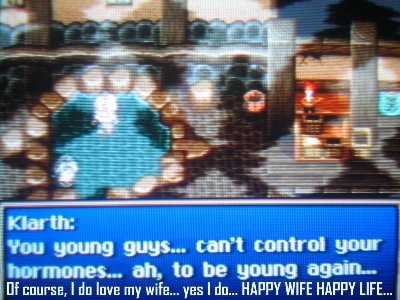 I guess it’s a little bit ironic, considering how the translation for the rest of the game is rather crude and raunchy. Incorporating time traveling elements, the plot is pretty cool and definitely has an epic feel to it. Sure, it could have been fleshed out a bit more but my interest in the game never once waned. 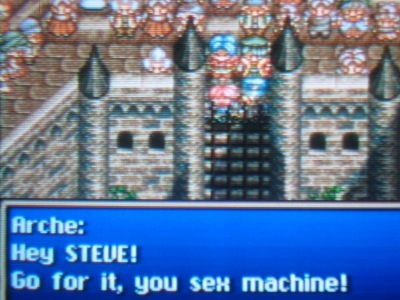 Arche Klaine (AKA Klein) is no doubt one of the most interesting female RPG characters in SNES history. Comments like such really endear the character to your heart. Check out some of her other feisty comments a bit later below. She is a feisty little firecracker! I’m a sucker for night time scenes where the characters interact and some (subtle) character development is made. 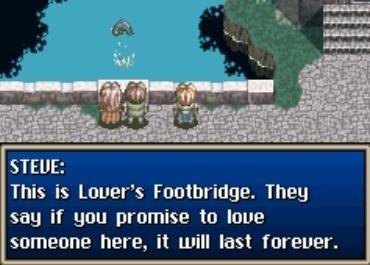 It’s one of my favorite things about RPGs. 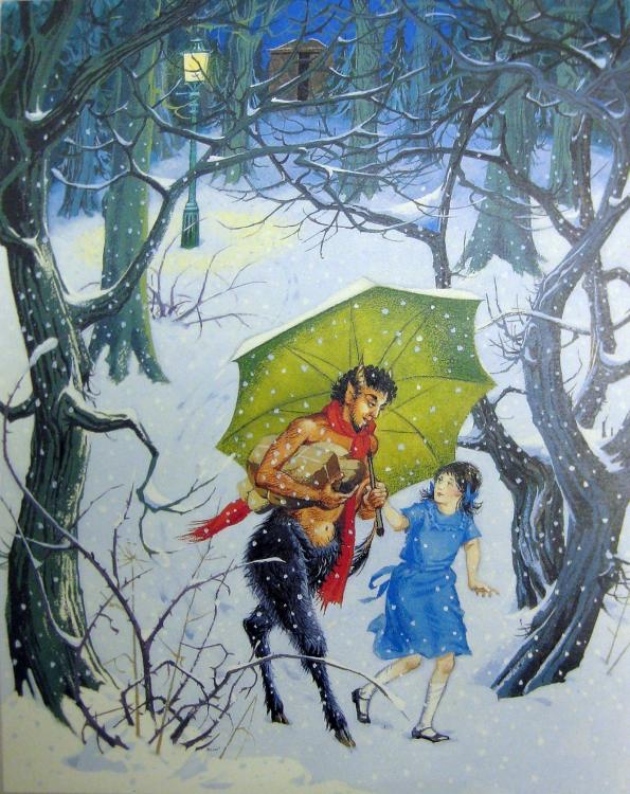 Mr. Tumnus to pop out behind that lamp post? The dark snowy town of Freezekill is enchanting and melancholy all at once. It feels like a scene out of a weird dream. 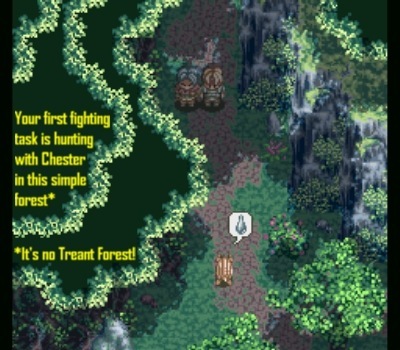 You almost expect talking woodland animals to start milling about. 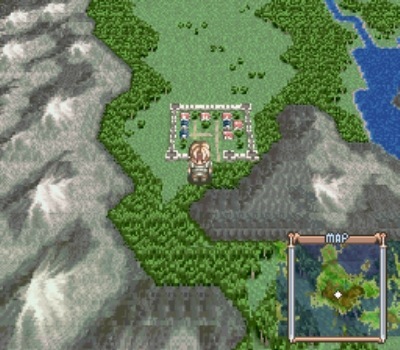 Tales of Phantasia does an excellent job of pulling you into its mystifying world. 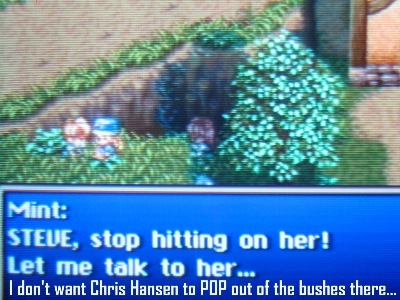 Where’s Chris Hansen when you need him?! 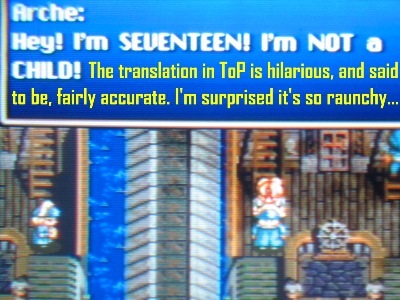 Of course I wasn’t serious about the translation being fairly accurate. Call it creative liberties by the fine folks at DeJap. Some purists might scoff at this but I say it all adds to the fun. 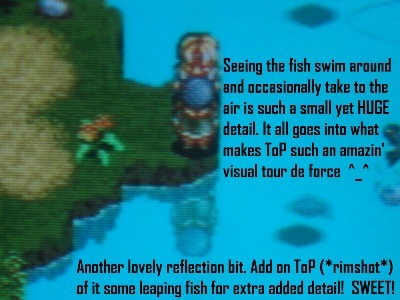 This blew my mind. I must have sat staring at the screen for a good minute the first time I saw this. 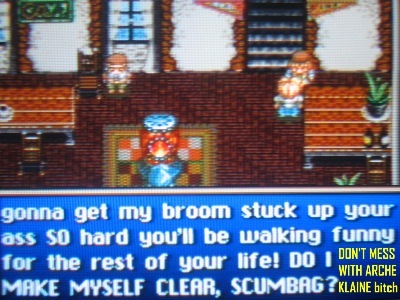 Never in a million years did I ever envision myself reading the F word in a Super Nintendo game — even if it is fan translated. The graphic nature in how the F word was used really put it over the top as well. Feel like a rerun of that old TV show CHEATERS! Oh snap, she really is a freak! And just to show that there’s no bigotry, there’s even a bit of this going on. I don’t mind Richard saying that as long as he ain’t saying it to me! 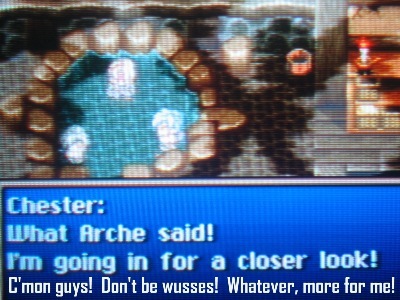 That Arche… you never know what she’ll say next! Steve: Did we hear WHAT? 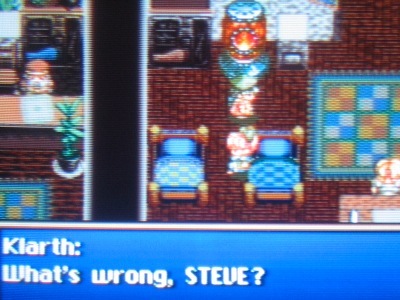 Chester: Shut up Steve. No one can resist my charm! 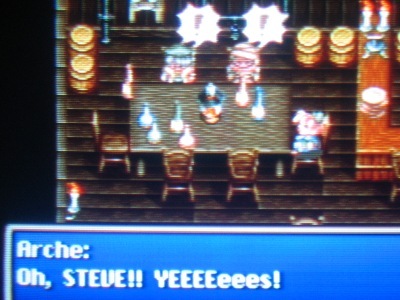 Before Steve can knock some sense into Chester boy, he’s off the races. 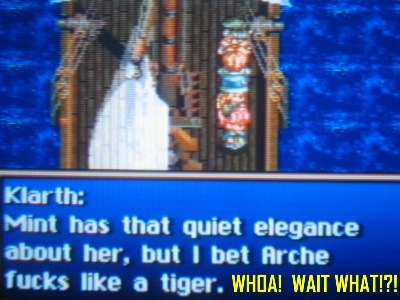 Klarth dropping some words of wisdom! 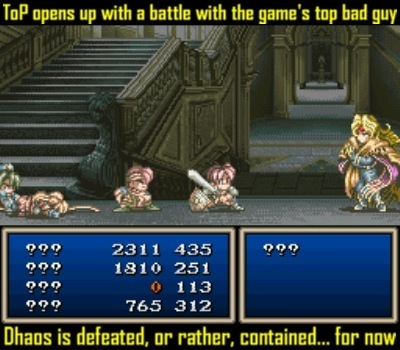 One of the biggest criticisms this game has received is the insane amount of random battles. 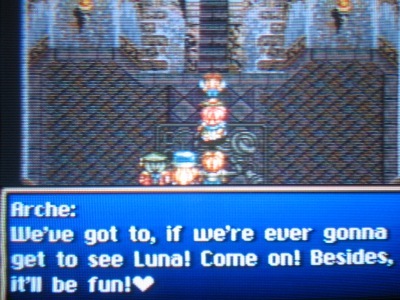 If you recall Lufia & the Fortress of Doom, imagine that random encounter rate multiplied by two. 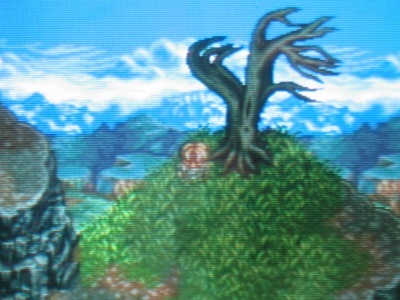 Sometimes it feels like you hardly take three steps before another battle pops up. 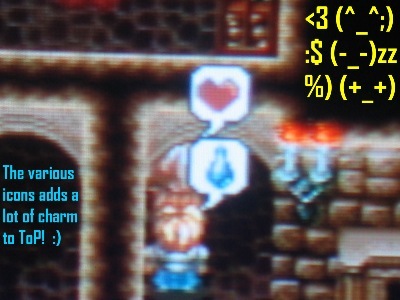 Thankfully, there are Holy Rune bottles which drastically reduce the encounter rate. For a limited time only, of course, but hey it’s better than nothing. 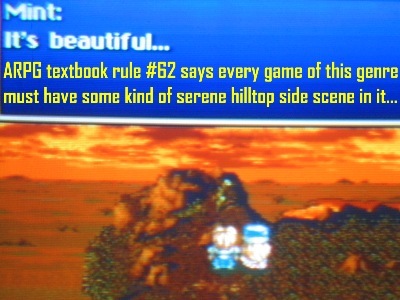 Obviously, the high encounter rate didn’t ingratiate itself to all gamers but it wasn’t enough to deter me from going through the game. 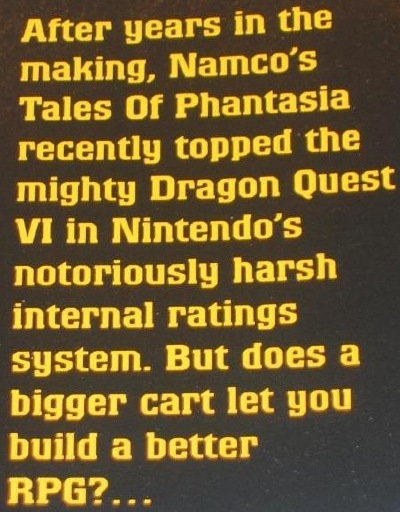 As you can see, opinions range wildly from “absolute classic” to “disappointing, all things considered.” Personally, I have a big threshold for random battle encounters, and so I wasn’t too bothered by the high rate. 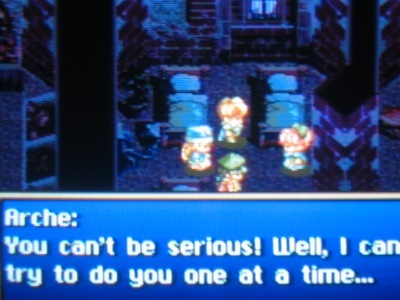 But I can see how if you detest random encounters then this probably isn’t your game. 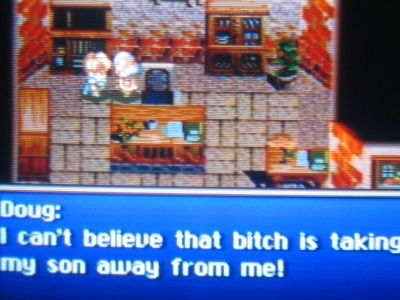 Tales of Phantasia opens up with a Japanese voiceover reading the quote, “Truly, if there is evil in this world, then it lies within the heart of mankind.” It’s followed by a masterfully crafted tune that pulls you in, bewitching you to the core. It sets the mood for the game perfectly. Right away I knew I was in for a special treat. One month and 43 hours later, the game reached its final chapter. It was bittersweet. 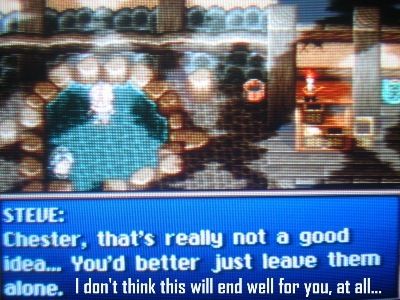 On one hand, I was excited to see the conclusion of a long journey. 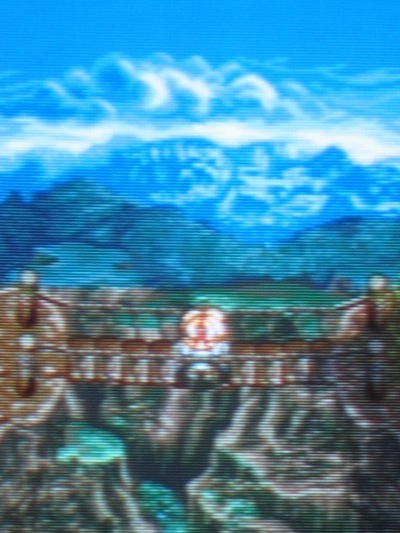 But on the other hand, I was sad that the epic adventure was at last over. 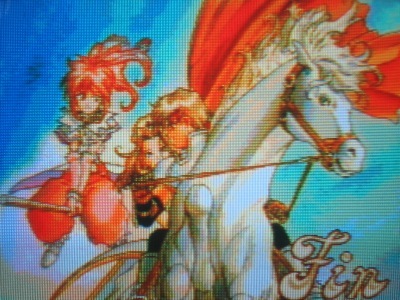 Even though there are many SNES games better than Tales of Phantasia, as far as experiences go, this is right up there at the top. If nothing else than for its incredibly memorable and modernized fan translated dialogue which gave me a chuckle or two along the way. 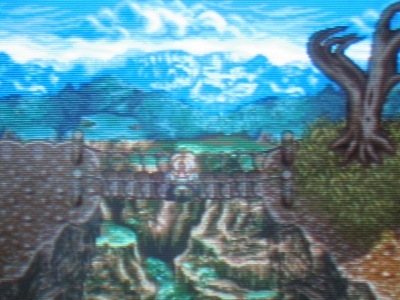 In addition, its sprawling universe, memorable characters, unique battle system, excellent visuals and stellar sound makes it a journey well worth taking for those patient enough to brave the quest. 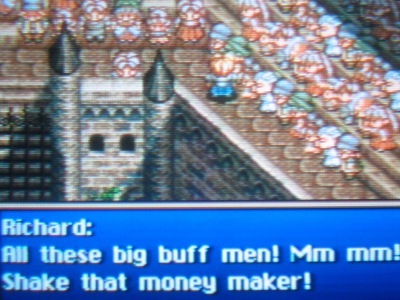 RPGs are all about creating an imaginary world full of colorful characters, memorable villages, powerful spells, intriguing dialogue and nasty bad guys. 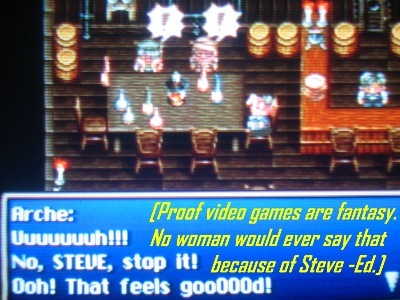 Tales of Phantasia does all of that quite well. 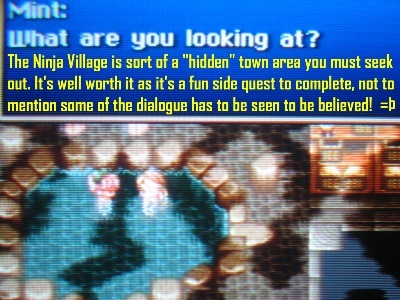 There are also some quirky side quests to carry out, plus interesting plot developments to keep the story moving along briskly. It isn’t without a few warts, however. 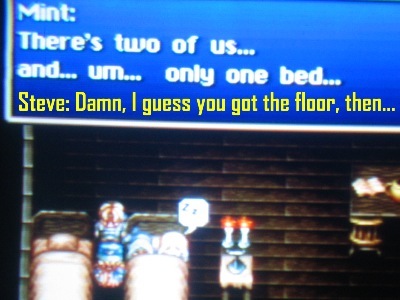 Namely, the encounter rate is set way too high. Battles can occasionally drag and since there are so many, this game will test your patience (and possibly sanity at times). 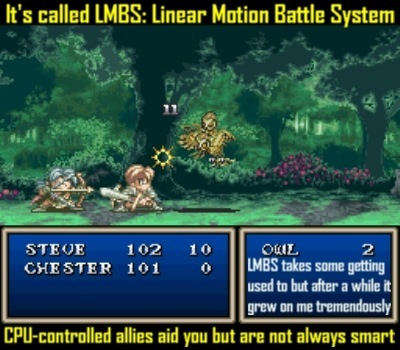 You can only control the main hero and the computer AI of your three allies isn’t always so hot. 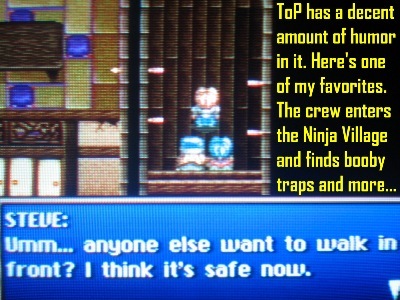 Thankfully though, you can adjust their strategy. This ranges from all out attack mode to focus on healing, and so forth. 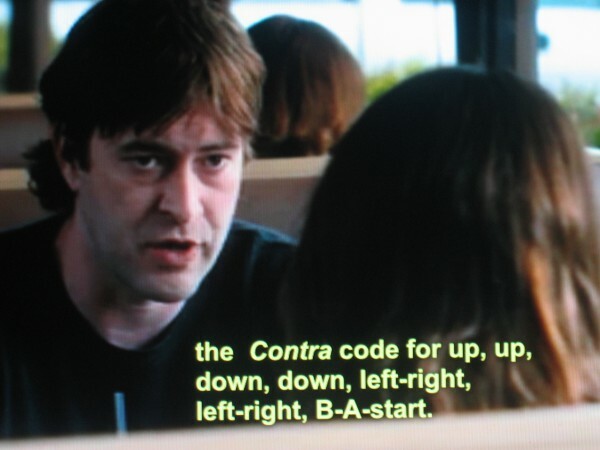 That helps out a good bit and at times you will find yourself strategically selecting specific behaviors of your computer controlled compadres. 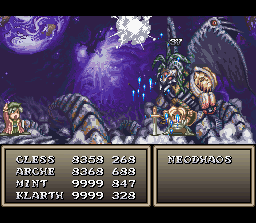 It should also be noted that the final boss is one of the most frustrating final bosses in SNES history. 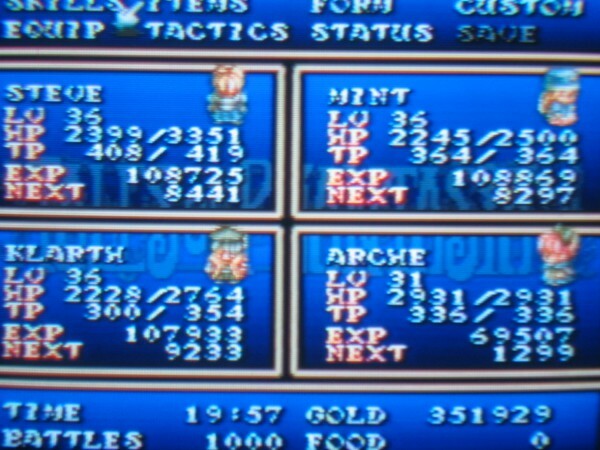 In spite of these blemishes, Tales of Phantasia is one to be experienced if the noted flaws are not deal breakers in your book. 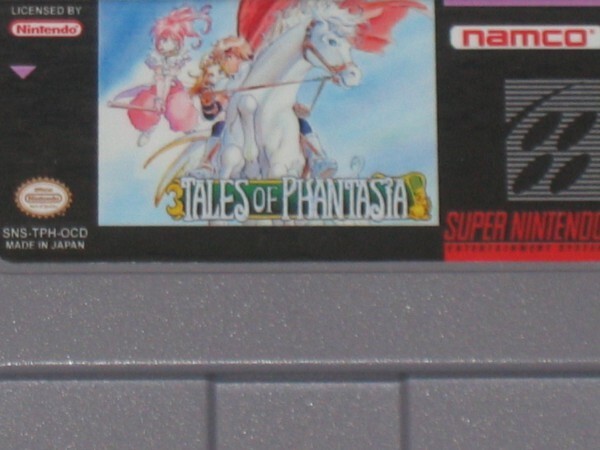 If you consider yourself an avid Super Nintendo gamer and you have yet to play Tales of Phantasia, then you owe it to yourself to right that wrong. Thankfully, you won’t need to board a time machine in order to do it.